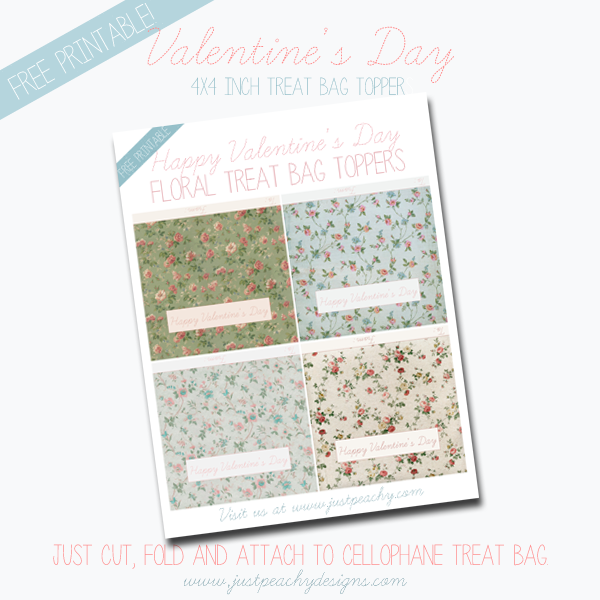 Here's another free printable for you - a set of 4x4 inch treat bag toppers for Valentine's Day. 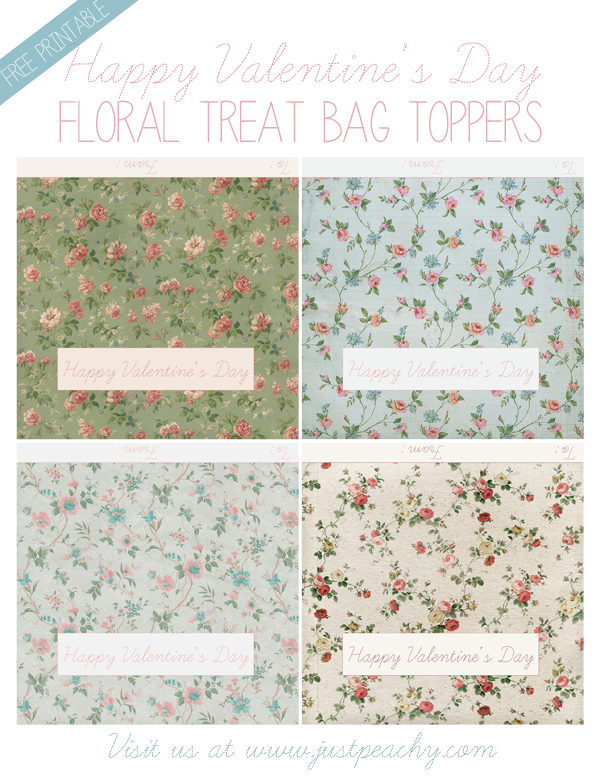 These feature beautiful vintage floral papers from Far Far Hill, my favorite source of vintage digi papers. Use them for classroom parties, gift giving, etc. Just click the image below to download. Print, cut then attach to a 4 inch treat bag. Enjoy, and have a Happy Valentine's Day!